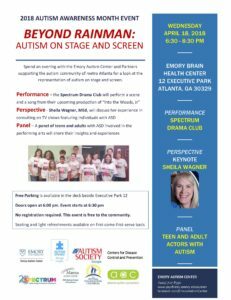 Spectrum is excited to be a partner for the 2018 Autism Awareness Month Event! No registration required. Free! Seating and light refreshments available on a first-come first-serve basis.